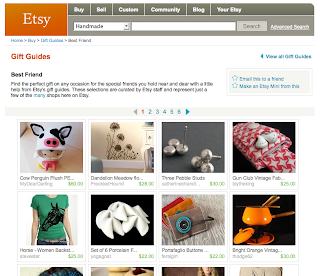 I received an email from HandaMade yesterday, letting me know that one of my penguin plush was in Etsy's Gift Guide! :D I couldn't believe it because there's been so many wonderful items on there lately I didn't think I'd come close to making the cut. Thank you so much for always letting me know about great news! She has a lot of darling little apple jackets, coffee sleeves, and bottle cozies so stop by her shop. I checked my Heart•O•Matic after thanking her and was SUPER surprised that my penguin plush disguised as a cow alone received 33 hearts just yesterday! :D Etsy, I really can't thank you enough! 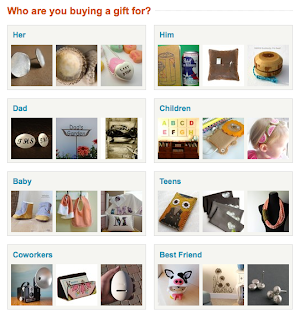 Check out their Gift Guides here.